This Class AB model is a powerful dual mono design that showcases a high-performance design and effortlessly versatile connectivity for easy integration into your system. Earn 2350 loyalty points when you order this item. ATC P1 Power Amplifier is an integrated model that truly packs a punch thanks to its dual-mono design that presents musical detail in a clear, coherent manner. The model's authentic dual-mono design offers full power from both channels at the same time, with minimised crosstalk. Expect ATC's famed active loudspeaker technology thanks to the model's grounded source class A/B circuit topology. 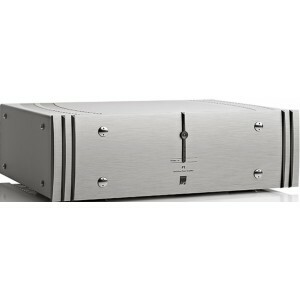 Low distortion, a massive dynamic range and a super wide bandwidth deliver an accurate and brilliantly timed transient. A high-performance power supply coupled with sizeable heatsinks ensure superb stability and reliability in the long-term. Enjoy brilliant product compatibility thanks to the model's neutral fidelity qualities.